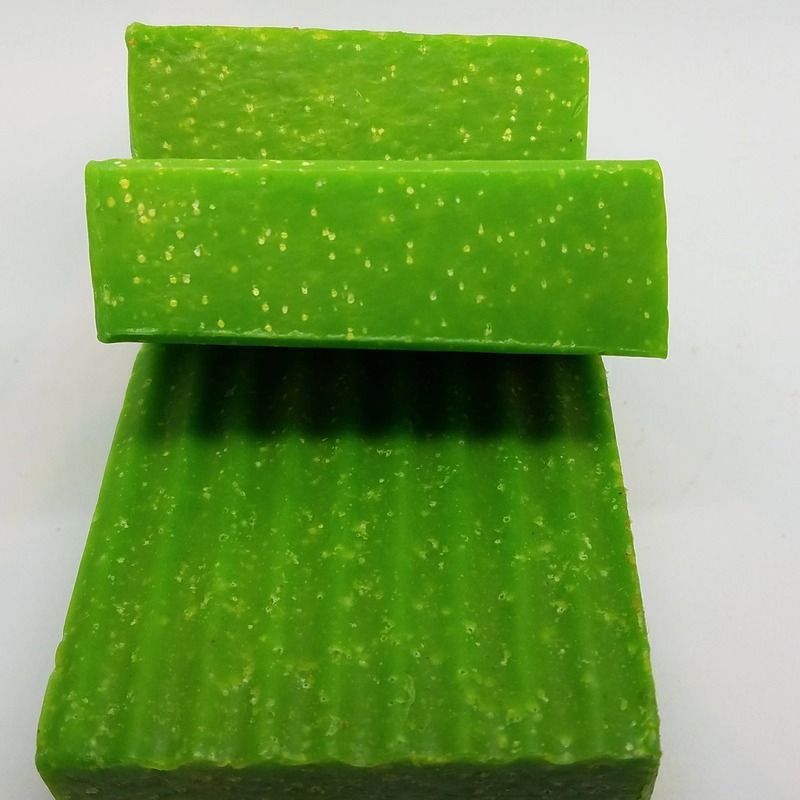 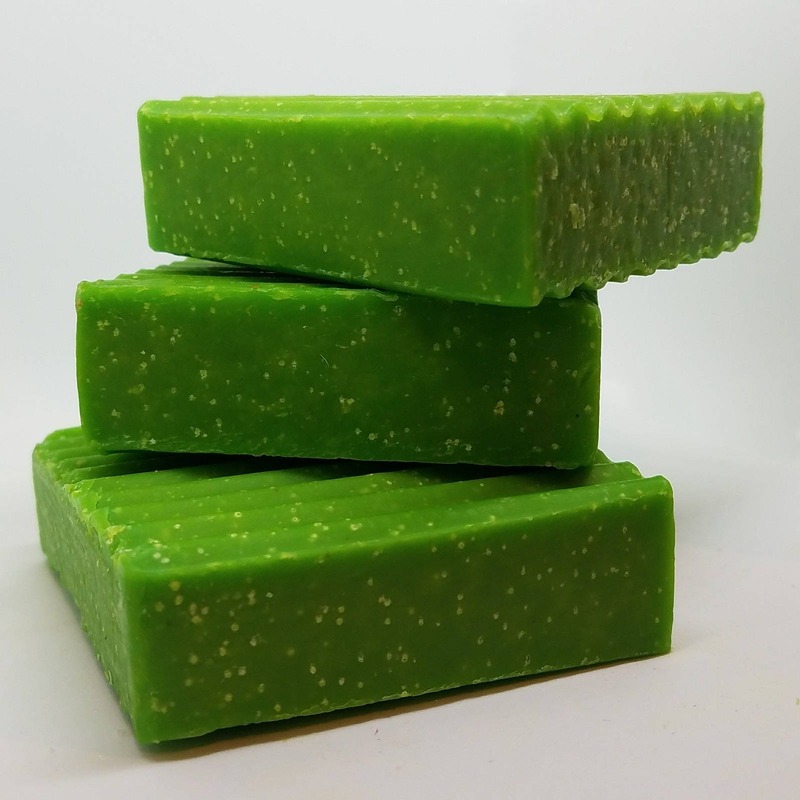 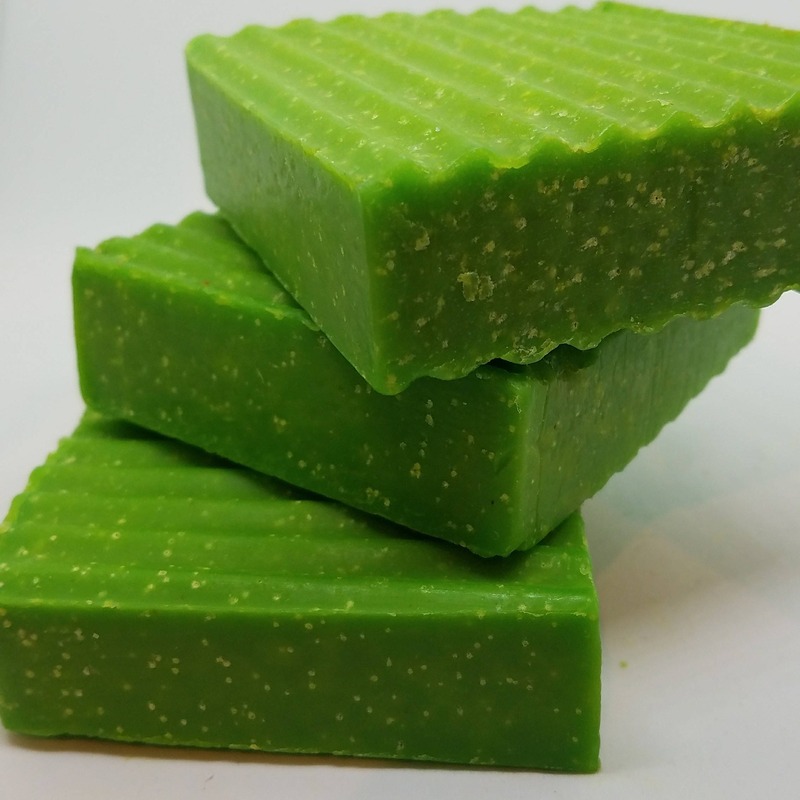 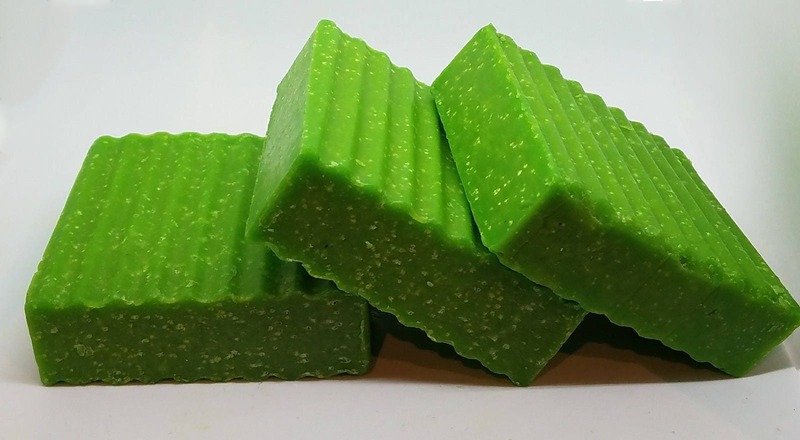 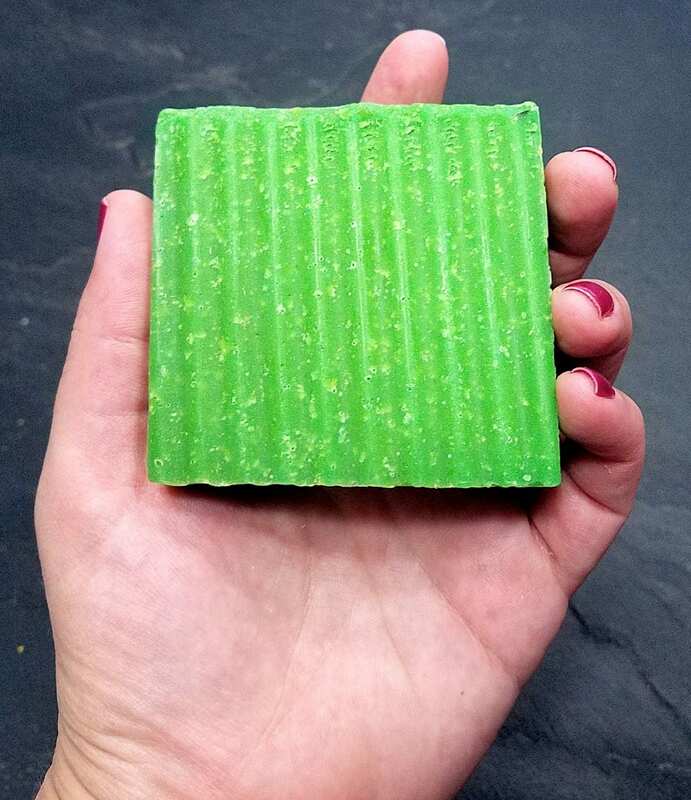 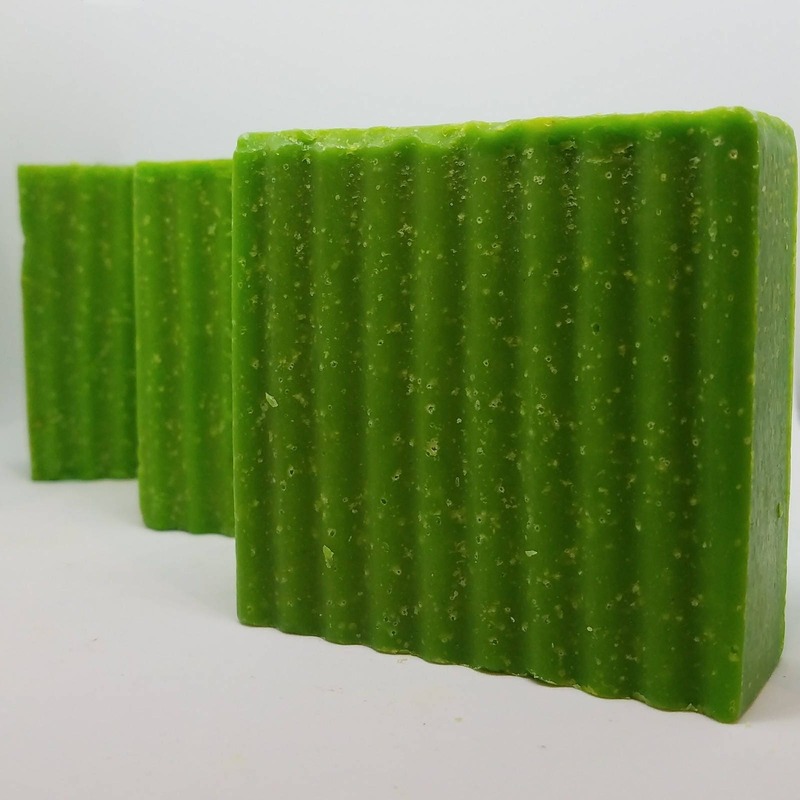 Our Green Tea Scrub Soap is a delightfully fragrant handmade, aromatherapy soap. 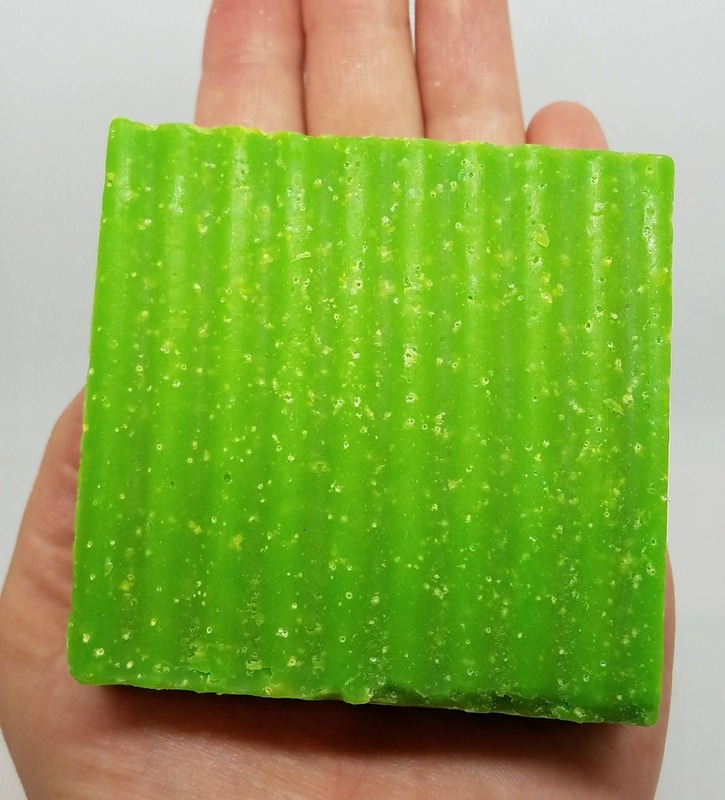 Boasting the mildly sweet and refreshing scent of deliciously fresh brewed tea, this scrub soap has dead sea salt and ground oatmeal within, making this a natural, exfoliating soap. 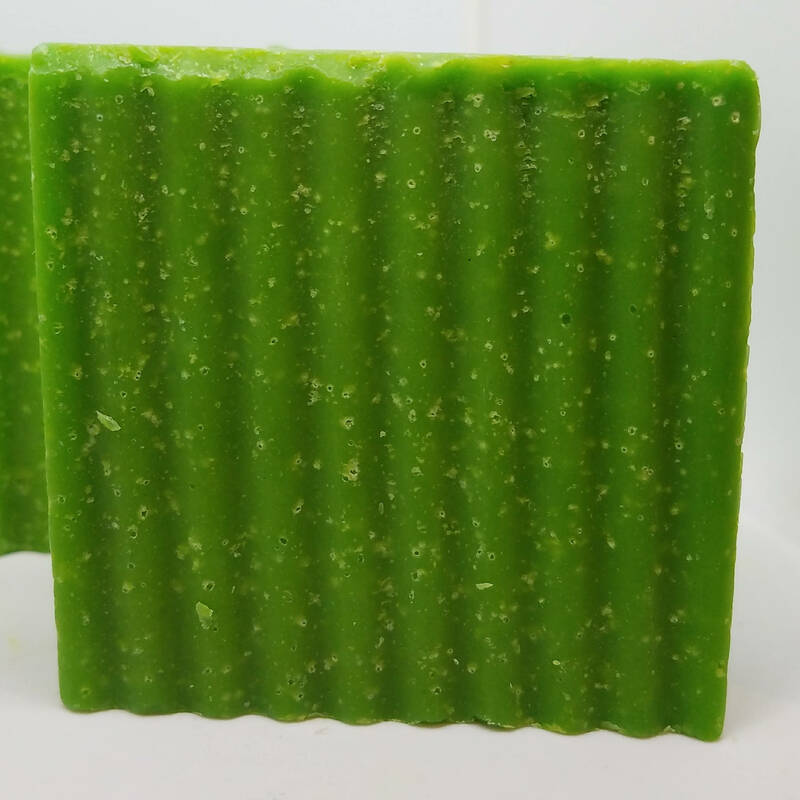 The bar is green with specks of sea salt and oatmeal. 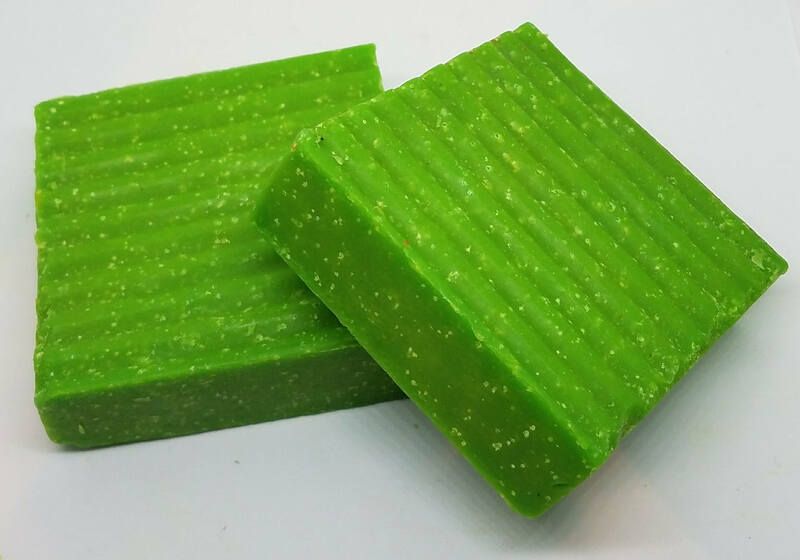 Green Tea Soap by Glamorous Baths is a delightfully nourishing soap filled with skin soothing ingredients.